...I guess the most she can hope for (besides anything obvious) is a maker/possible year. Thanks for any help in advance. 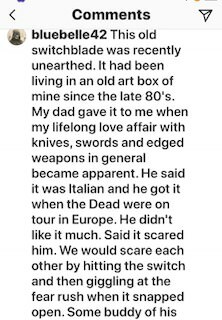 this is very cool to see Jerry holding a switchblade,as being a Dead Head,I saw the Dead 150+time's'first show in 1973,at the age of 15,I got on the bus in 1976,still friend's with with many old head's. Sure is in rough condition. I love it! 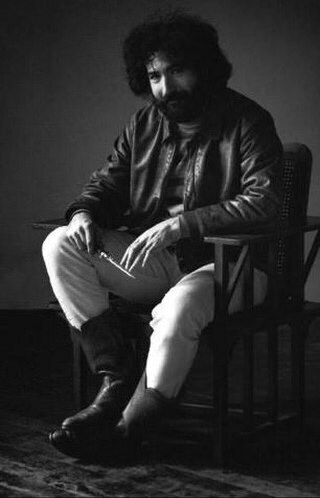 I had a copy of that picture of Jerry for many years. 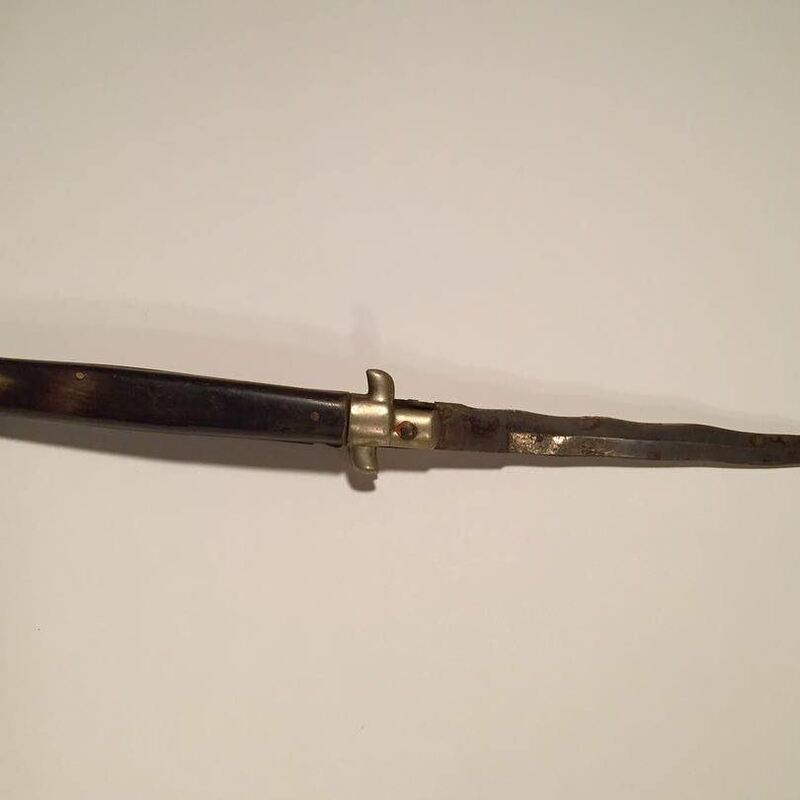 Wow to see the original knife is pretty awesome! Too bad about the front handle otherwise it looks darn nice! Wow, the story seems to check out too. Don't see that much on the internet. 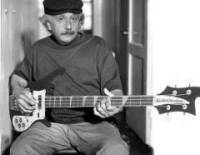 Besides for the absurdity of Jerry Garcia's daughter having an Instagram account, this is pretty cool. Although, I would still be hesitant to say that knife the girl found is the exact knife in the poster. If there was some evidence of it, that would be a real gem. JimBrown257 wrote: Wow, the story seems to check out too. Don't see that much on the internet. Very cool,both knife and story. 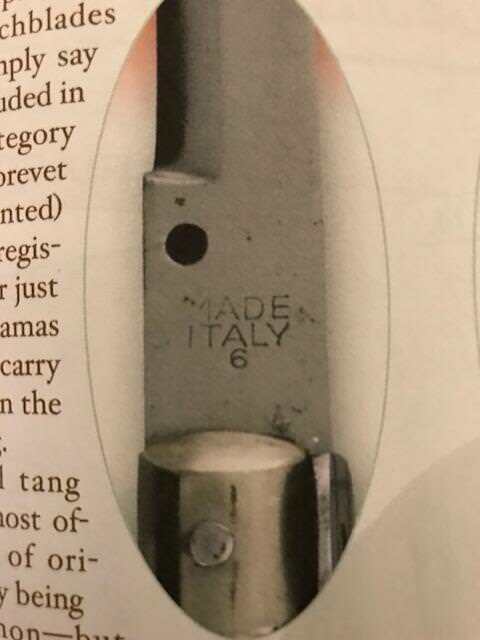 The knife was made by Mauro Mario. It needs to come see me for a restoration. I'm the only authorized Mauro Mario repairman in the world. 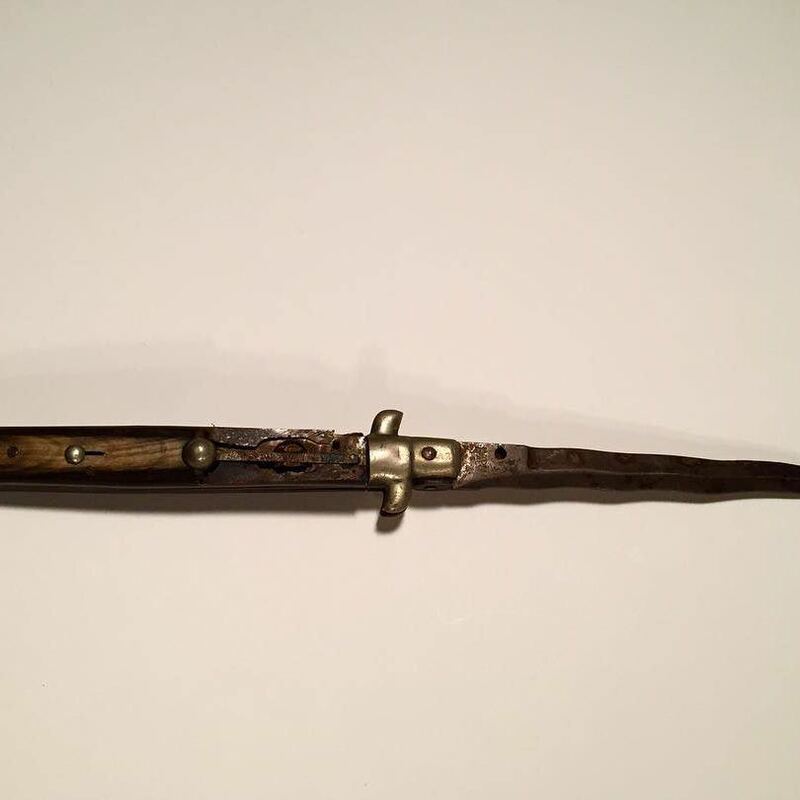 Bill DeShivs wrote: The knife was made by Mauro Mario. Great Bill! I will pass your info on to her immediately! Bill, If you do get it, will you please post the after pictures?? Yeah, I definitely believe her story. 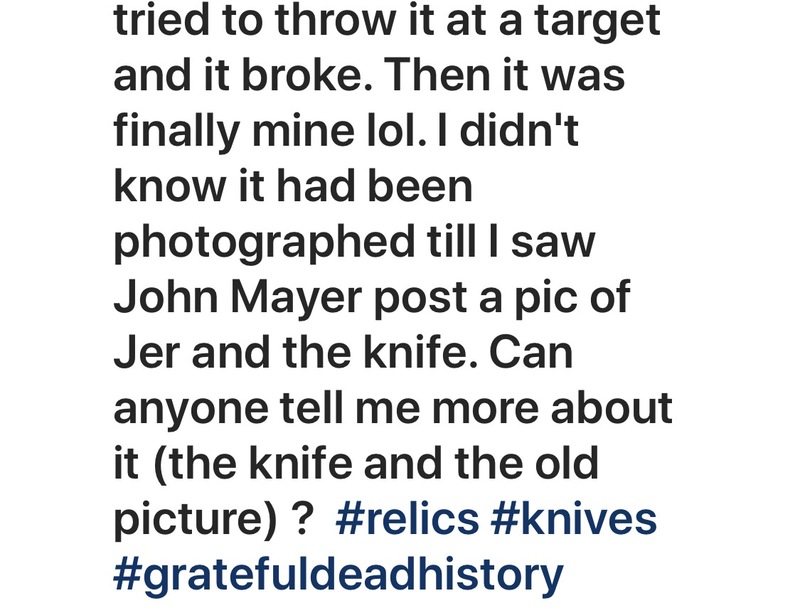 I looked at the Instagram page and that is indeed Jerry Garcia's daughter you are talking with and that knife used to be owned by Jerry Garcia. What I was saying is, I don't think it is 100% that the cracked scale MM from the pics is the exact same knife in that poster. 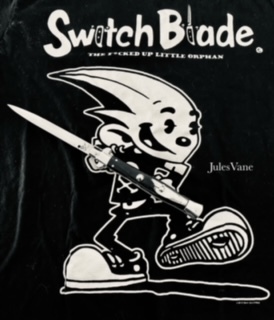 People who own switchblades often have more than one, sometimes a lot. 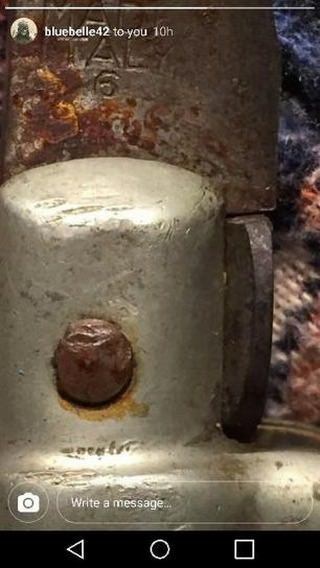 A knife owned by Jerry Garcia is valuable. A knife from a famous poster is priceless. Hope Bill gets a chance to do his magic on it. Be nice it in original condition! And definitely a master at both crafts for sure!